The holidays can be extra tough especially for all the moms out there who have to add more time for shopping to buy gifts for the entire family. So a couple of months ago, I started going to the gym hoping to lose a few pounds and gain a bit of strength to ease my recurring leg pain. My doctor had advised me to move around and do some strengthening exercises to mobilise my right leg. I gained around 10 pounds during the past four years which I think is one of the reasons for my leg pain as I am not used to being this heavy. I’ve been trying to squeeze some gym time 3x a week but with our schedules becoming more hectic, so I try to exercise every opportunity I get. 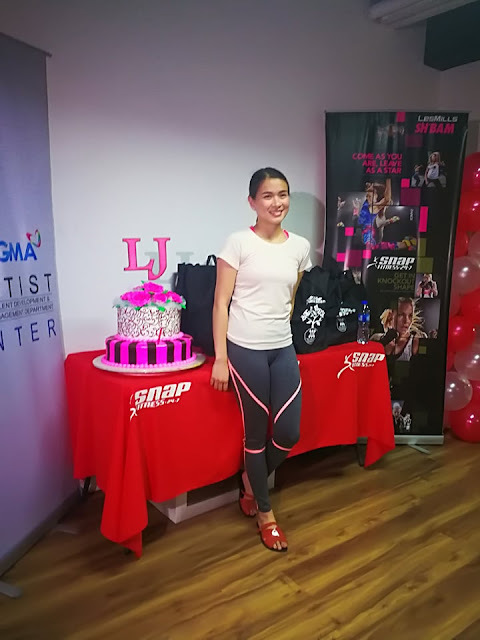 And last week I got an invite to celebrate Kapuso Star LJ Reyes 30th birthday at Snap Fitness Gym in Tomas Morato, in front of GMA Network. Yes a birthday party at the Gym. This is certainly not the usual invitation I get. 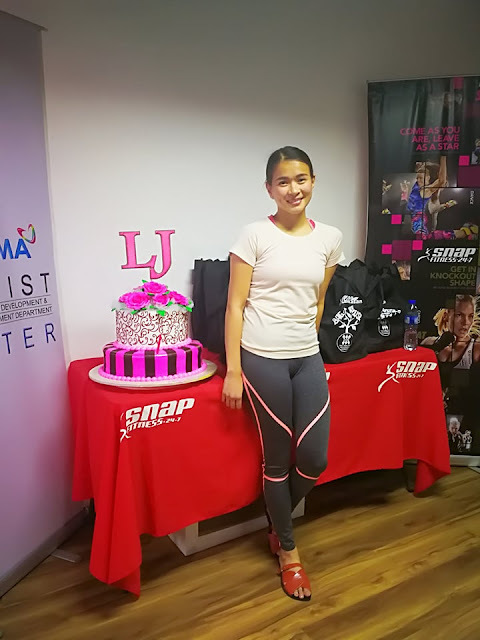 Ms LJ Reyes showed up in her work out shirt, leggings and a Melissa slides. She looked really fit and toned and she doesn’t seem to age even though she’s already in her 30s and has a kid. She has this healthy disposition which explains her rosy glow. She is simply pretty and charming in person. It was perfect time to meet her personally and to know what she has been doing lately. 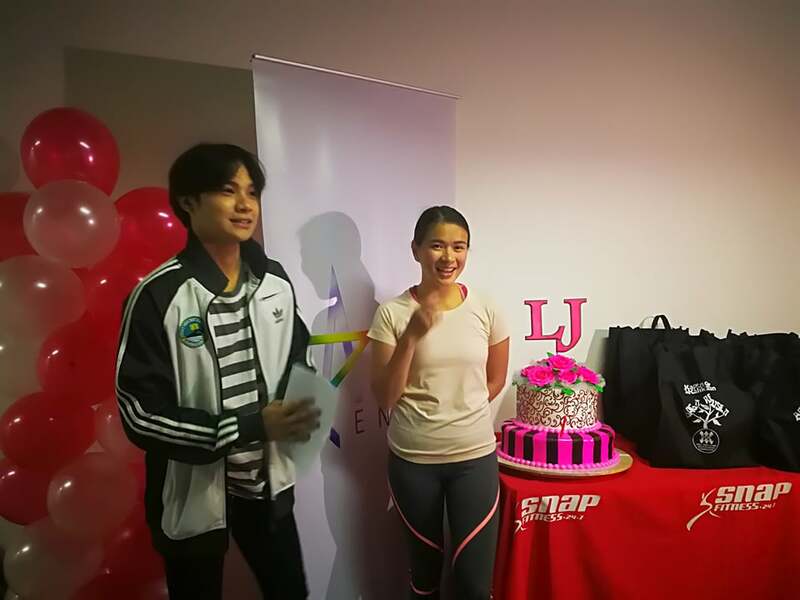 The event was hosted by GMA Artist Joshua Jacobe. She told our group of bloggers that she has been working out toning her abs, arms, butts and hips with a trainer. Her fitness routine includes cardio and yoga. Since she came from the family who loves to eat out. She has been watching her diet and religiously goes to the gym. Though she doesn’t follow any particular diet, she makes sure to eat in moderation avoiding salty and sugary food. Ms. LJ started her showbiz career when she joined Starstruck reality show 12 years ago in 2005. She was just 16 years old then. She won her first Gawad Urian award as Best Actress for "Anino sa Likod ng Buwan" on 2016. She has a son named Aki with celebrity actor Paulo Avelino, who is now 7 years old. Take us back to riding trains, walking around and wandering carelessly of time! But this time, so much to celebrate!❤️ (photo taken last May) now... thinking of a good hashtag for this year’s Christmas trip...🤔 suggestions?? Besides being a good actress LJ is now also an app developer and has helped develop an App for moms out there. Its called MApp ( The Smart Mommy app) is designed for moms (and dads too) who have little kids. The app works when you are looking for some establishments and activities to do and for some emergencies. The app is available on Android and iOS.